My memories of the time after we moved to the new flat consisted of my kindergarten lessons. It wasn’t so much the lessons for I was probably too distracted to pay attention Anyway, I believe lessons back then weren’t as difficult as they are right now. It was the tea breaks, art lessons and a performance that I remember most vividly. I remember looking down the railing at the back of the flat some days and saw some gruesome killings downstairs. It was the back of the coffee shop below and that was where the cooks slaughter animals for their dishes. Sometimes I would see a huge turtle being slaughtered, its blood spilling all over the floor. read more: Judith Remembers…Part 9. I’ve been trying to recall my childhood days that were spent at my maternal grandparents’ house up in a hill, then I realised I don’t even know exactly where this hill was situated, probably in the Bukit Timah area…I remember visiting them on Chinese New Year and some other occasions. The trek up to the house was tedious and at times treacherous, especially on a rainy day or after the rain because there was no proper path going up the hill. I had only ridden on a motorcycle once and that was when I was just a wee kid, perhaps around 5? Anyway, on this occasion I managed to get myself singed and pretty badly too. How did it happen? click here to read more: Judith Remembers…Part 7. Click here to read more: Judith Remembers…Part 6. You see, I was a ‘blanket’ baby and I still am, though I’m no longer a baby or a toddler. I grew up with this habit of carrying a blanket around with me at home, refusing to let it be washed or taken away for any reasons. The smellier, the better I guess it was kind of comforting to have that familiar scent to sleep with. Oh, and it had to be soft, too! Click here to read more: Judith Remembers…Part 5. To read why I have to kill you, click here: Judith Remembers…Part 4. I remember one afternoon I was taking a nap in the ‘big’ four post bed. Remember I was only about 3 or 4 years old then so everything seemed big to me LOL Anyway, that afternoon when I slowly woke up from my afternoon nap I opened my eyes to find…a snake staring at me! Click here to read: Judith Remembers…Part 3. Ding, ding, ding, away he chipped at the hard candy covered in flour. The sound of the chisel hitting the mallet (what? Did I really type that? Shouldn’t it be mallet hitting the chisel? DUH!) 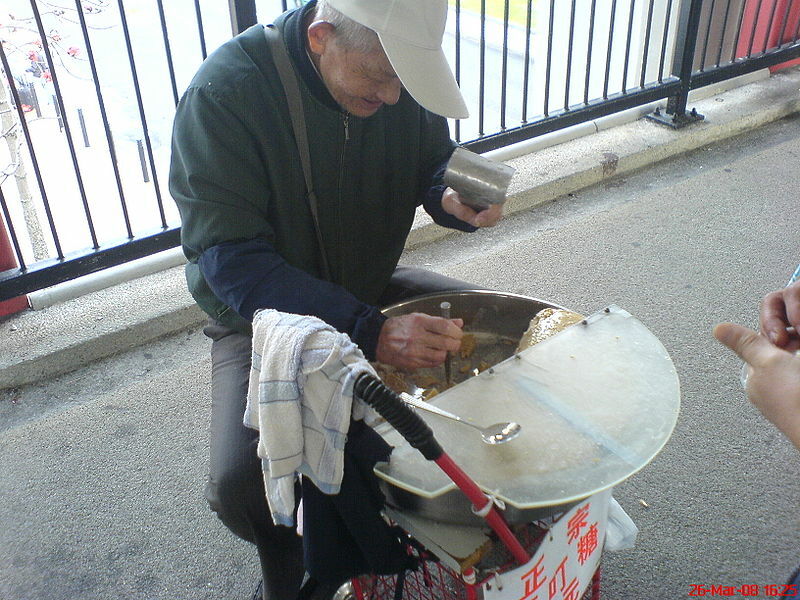 acted like the bell of an ice-cream seller, telling people that he was there with his ware. Click here to read more: Judith Remembers…Part 2.